. Published on December 19, 2014 . Kyle Jones has been a member of Canada’s National Triathlon Team since 2006. In 2012 he won his first Canadian Senior title, his first ITU World Cup title, and represented Canada at the Olympic Games in London. Since then, he has added two more National titles, a World Cup silver medal, and most recently represented Canada at the 2014 Commonwealth Games in Glasgow, Scotland. 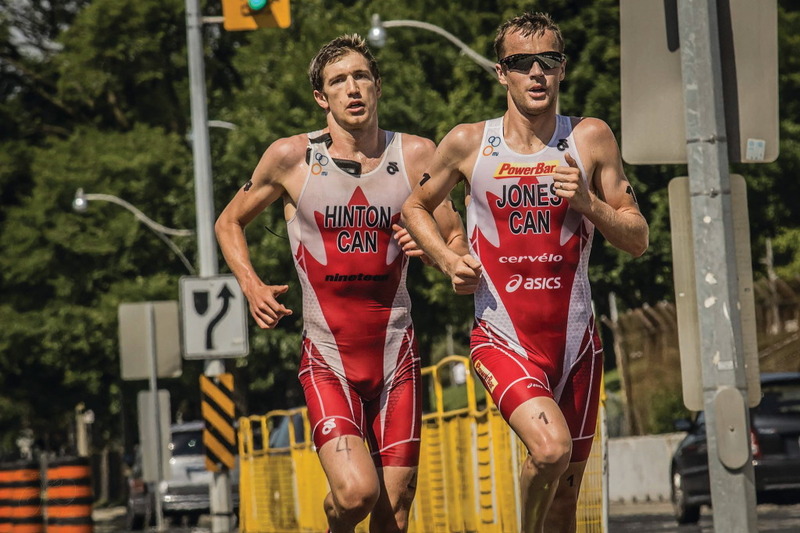 Jones competes for Canada in the ITU World Triathlon Series hopes to compete in his second Olympic Games in 2016. Each morning starts with Breakfast #1. Something simple like toast or oats with some coffee. After a light meal it’s time for my first workout of the day. Normally a swim (4-6km). After that it’s time for Breakfast #2, a higher calorie meal to aid in recovery and fuel the remaining workouts of the day. In general my eating throughout the day is dictated by my training. I usually consume small meals before and after each session and then have a more substantial meal for dinner at the end of the day. I don’t follow any specific program of eating. I try to consume fresh food as much as possible. When I’m in a big block of training I tend to prepare and eat a lot of the same foods day after day. Eggs, bread, nut butters, greek yogurt, muesli, cottage cheese, bananas, chicken, and fish—to name a few. I make sure to get a variety of good proteins, fats, and carbohydrates but I don’t mind eating similar meals over and over. When you have 3-4 sessions/day I think it’s important to find foods that are easily digestible. When I find meals that fuel me well, aid in recovery, and sit well in my stomach, I stick with them! There’s certainly a lot of stuff out there! I’ve talked to a lot people who are genuinely trying to do the right thing but there’s so many theories on what the optimal diet is, it makes it difficult. I’m fortunate to have access to sports scientists that help me with that. If I read something that I’d like to try or implement in my diet I’ll run it by them first. In general I think we need to keep an open mind. Science is constantly evolving and as our knowledge base grows theories change, but at the end of the day I think it’s important to keep things simple. Eat lots of fruits and vegetables, lean proteins, good fats, avoid processed foods, etc. I think the gluten free diet is an interesting one. There’s a very small percentage of the population that suffer from gluten intolerant diseases, but I’m not sure what to make of the “sensitivities”. I think in some cases individuals who are adopting this diet and noticing a positive change are simply more conscience in general about what they’re putting in their body and it’s not so much to do with gluten. Some food manufacturers are definitely benefiting from it when it comes to the marketing and labeling of certain products. I feel like the general population is lead to believe that gluten is bad and it’s “healthier” to consume foods without it. Not really. To improve fitness and performance in endurance sport it just takes hard work and a lot of it. There aren’t any shortcuts. Each year my coach might have a couple new workout ideas but the basis of what we’re doing rarely changes. How do you make adjustments to your workout? It’a hard to know what to do when you’re tired or having a bad workout. My coach, Joel Filliol, prescribes all of my workouts. We sit down at the beginning of each year and plan out the season ahead. We identify the key races and implement training blocks accordingly. Throughout the year, each Sunday Joel “unveils” the training for the next week so I have an idea of what to expect. If needed Joel makes adjustments on a day-to-day basis from my feedback and his own observations. I train as part of a squad so having guys to do the work with helps a lot, especially on days when you’re tired and the training load is high. I train with an international squad of athletes under the guidance of Joel. Everyone in the group has competed at the highest level of our sport so it’s a great environment to be a part of. Everyone responds differently to training stresses and therefore we all have individualized plans, but the one key aspect we all share is the consistency in our daily training regimen. Getting the most out of every session and backing it up day after day is key. Run: three little letters. One habit with big impact. The Whole Foods Diet: Eat only recognizable foods and avoid processed ones.